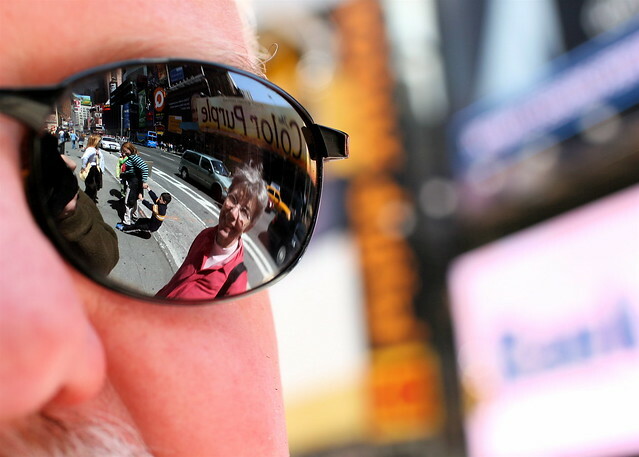 Standing on the island in the middle of Times Square (New York) I caught a glimpse of Anne reflected in Bill’s sunglasses. I took the shot quickly before Bill could complain and didn’t notice the mother dragging her reluctant son behind Anne. You can see an ad for Avenue Q, the play we had just seen behind the mother and son.